- Both dices can move independent of whoever turn it is. - But you got to be careful and plan wisely even if it isn't yout turn. - Once the person who is playing the round rolls the dice, your dice rolls too. 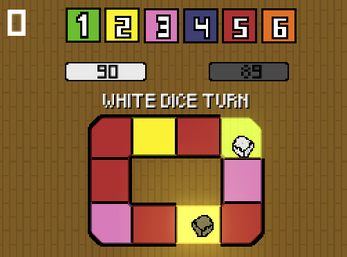 - If the player doesn't roll the dice within the time limit, the dice rolls automatically. 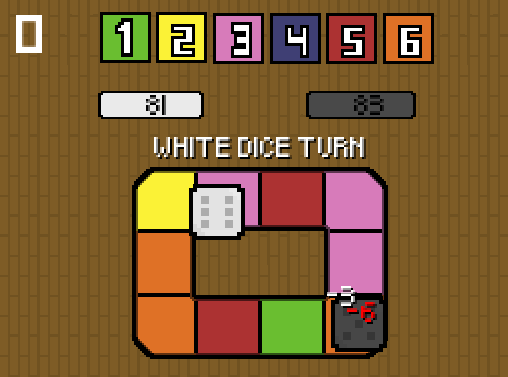 - You have to stay away from colors that are big numbers, because once the other person rolls the dice (and yours rolls too) you'll have to beat the color number you're in, or else you will receive that color number as damage. Ex: if you are in the color that the value is 4, you'll have to get number 4 or higher to beat it and don't receive damage. 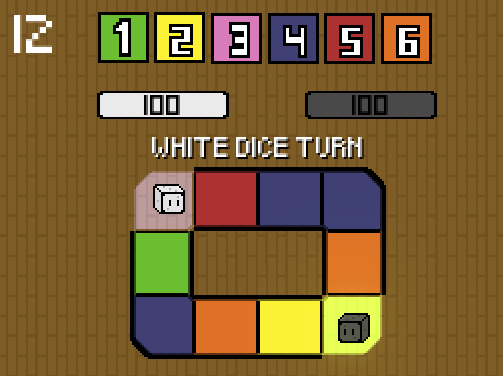 - You have to beat the color number you're in, to make the other player receive that amount of damage. Ex: If you roll the dice in the color of value 3, you'll have to get 3 or higher to make the other player receive 3 as damage. If you get 2 or less you'll receive 3 as damage. - You have to decide: risk a higher number to give the other player more damage, or play it more safely and don't risk yourself. - You have to pay attention in what color the other player is as well, and roll the dice before he/she move to a safe smaller number color. 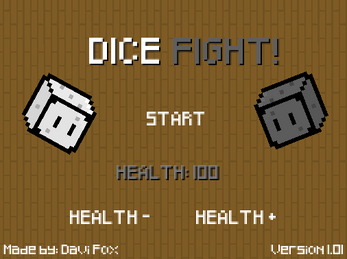 - If both dices stay in the same piece a Dice Fight! will start. 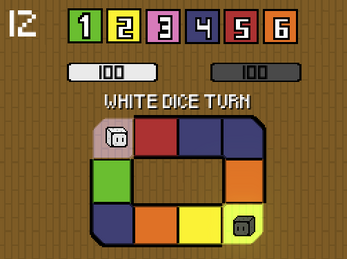 - Press the roll button as many times as you can! 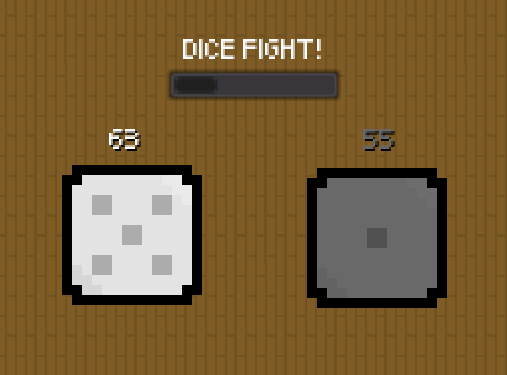 - In Dice Fight! you won't have to wait the roll animation to get the numbers, a number between 1 and 6 is generated instantly, and you can roll your dice as many times as you can within the time limit. - The numbers you get are added together in a score. - Once the time stops, the player that got the higher score wins and the difference between the two numbers is given as damage to the other player. I think it needs more playtasting at this stage of development, to improve the overall experience.